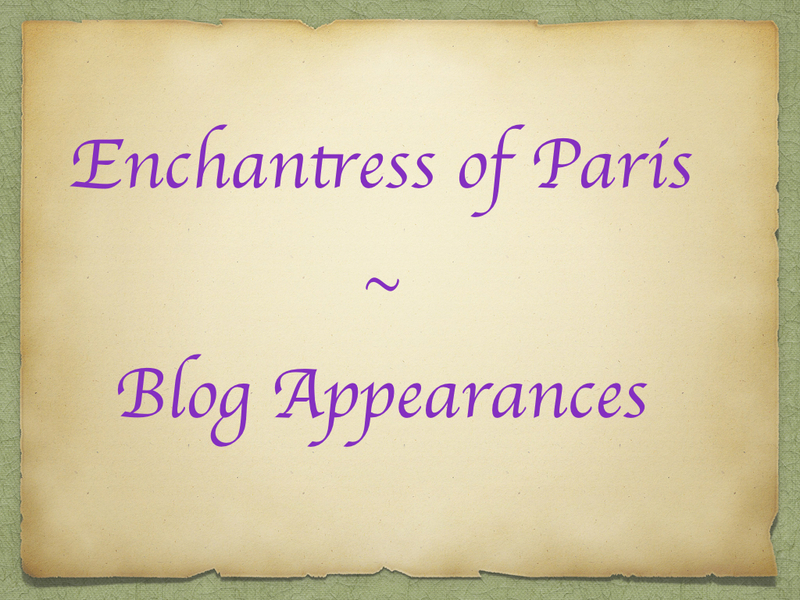 Time to start celebrating the release of Enchantress of Paris! You can find me at the following blogs. I’ll also be at the Jefferson Pointe Barnes and Noble in Fort Wayne, Indiana on release day, August 4th, at 7:00 signing copies! But you can also stop by Historical Fiction Book Tours Facebook page the next four Tuesdays for trivia and giveaways!